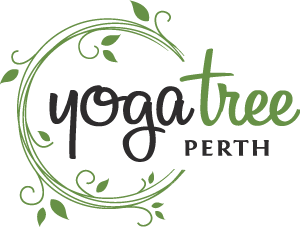 Yoga Tree Perth is committed to providing a space where people feel welcomed, supported and able to experience the wide reaching benefits of yoga, health and spiritual wellbeing. They strive to make the studio a place where people can balance the mind and body to connect with themselves and others. Please make sure to bring a mat, a towel to put on top of the mat and a water bottle. Parking is available in front of the studio specially marked as “Hot Yoga Parking” when you enter the complex from Oats Street or Shepperton Road. There is limited parking for studio visitors and staff at the front of the studio. Please take note of their 930am, 4pm, 615pm classes as it is easier to park behind the building complex where there is free parking available at Shepperton Road Car Park No.12. Do NOT park at Officeworks, Total Triathalon or Red Rooster. Good class for a detox session! Great class! Although not hot enough and music could have been louder and more upbeat. could try a new playlist (music) :) ? You need to take a big towel &amp; a yoga mat. We werent informed of this prior to the class and had to pay $3 to hire the towel. Also the instructor does not do the moves, they talk you through it &amp; experienced students do it in the front row &amp; newbies in the back row. Good experience though - also its REALLY HOT!!!!! Music was a bit loud, couldnt really hear the instructor. Otherwise fine.